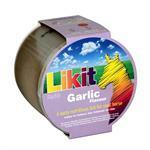 Mouth-wateringly tasty Likit is designed to be used in conjunction with our range of Likit Toys to relieve the boredom and stress of stabled life! 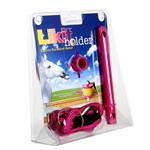 Use in conjunction with the Likit holder or Boredom Breaker. 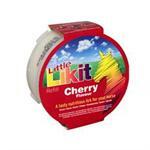 Mouth-wateringly tasty Little Likit treats are designed to be used in conjunction with our range of Likit Toys to relieve the boredom and stress of stabled life! Horslyx offers owners a unique way to supplement forage and grazing. 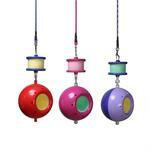 Simple and easy to use, it does not rely on being mixed into a bucket feed. 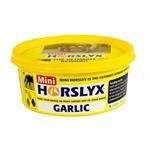 Horslyx is free from prohibited substances as defined by the Jockey Club of GB and the FEI. 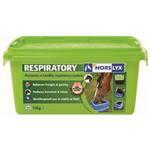 Respiratory Horslyx offers horse owners a unique alternative to using traditional respiratory aids. 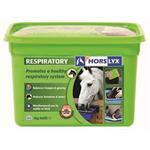 Simple and easy to use, it does not rely on being mixed into a bucket feed. 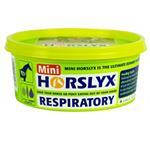 Respiratory Horslyx is free from prohibited substances. 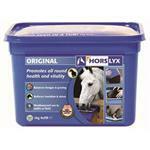 Dengie Stable Lick is a unique maintenance feed conveniently packaged in a handy bucket. The Stable Lick offers an ideal and economic alternative. 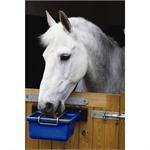 Have your horse or pony ‘eating out of your hand’!! 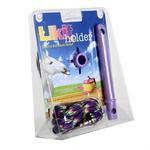 The easiest way to start using Likits, this clever toy is designed to be hung freely in the stable from the rope provided and used in conjunction with a Likit Refill (650g), sold separately.